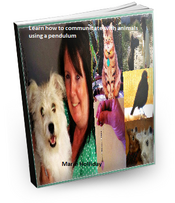 Join Marie's Animal Communication Courses where you can learn to communicate with a pendulum including one to one tuition with Marie at affordable prices. Marie has spent many months designing this personal individualised Course with your learning and development in mind.Being a trainer professionally she is fully aware that Home study with practice, one to one personalised tuition and ongoing support is the absolute best she can offer anyone to help them develop their own skills.Everyone is at different levels of learning and skills based so need varying hours. You want to work with an animal `live´ in the session such as your own pet, a friends pet or we can arrange a volunteer pet. Anything within the course that You want to learn then that is what we will do! So use your Skype One to One with Marie as your own personal expert tutor to support you where and when you need it. What is a pendulum and how do I choose one? How do I hold my pendulum? If it doesn´t seem to be working? What can you use a pendulum for? Can I use the pendulum techniques for all animals? 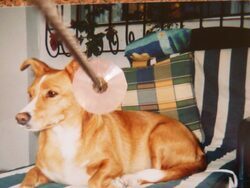 How do I use my pendulum with animals? Can I use a pendulum for myself? Study Guide 2 Comprehensive Questioning Skills Techniques for Animals and Case Studies ( 36 pages ) Including 50 examples of closed questions and a Bonus 60 Questions for a missing pet, lots of scripted case studies to follow with flowcharts. How do I build Rapport with an animal? 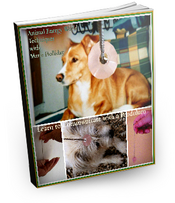 NB: If you can use a pendulum skilfully but cannot communicate with animals then these Ebook Guides are still a good foundational way of checking out why you are not able to communicate. You can see if you are missing anything?